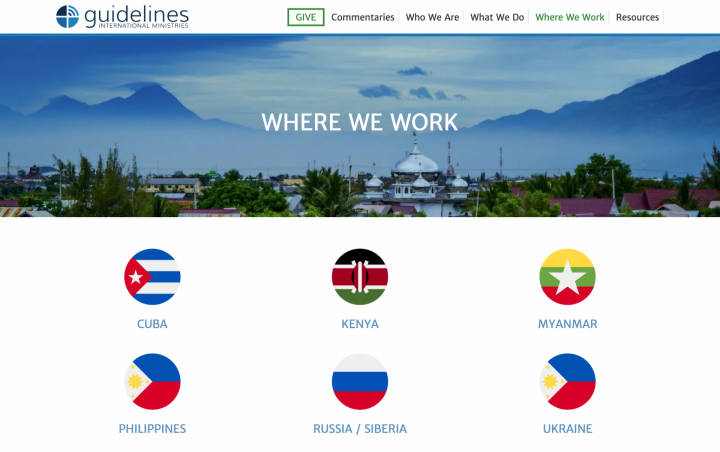 Guidelines International Ministries is a decades old Christian organization that does radio broadcasts all over the world. During a period of rebranding, they needed a new website design that would breathe new life into the ministry. 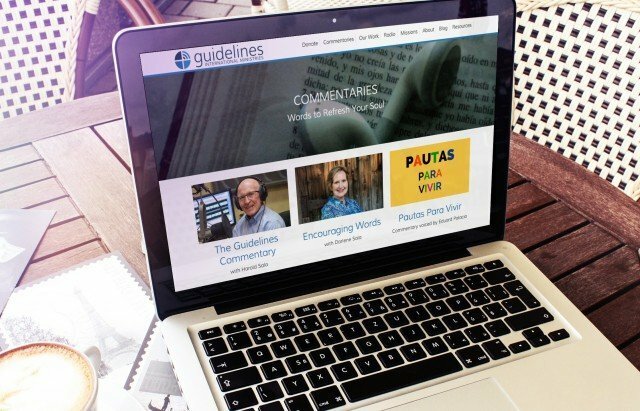 Guidelines had an old website that was built years ago. It hadn't been updated in a while, so the design felt a little outdated. It was built on WordPress, which is a great solid foundation. However it used a custom theme. So as WordPress updated, the theme didn't, and the site started looking weird in certain places. They also had donation options integrated with their online bookstore, which made things confusing for visitors. Guidelines was also going through a rebranding with new colors, new logos, and even new staff. So they needed a website that communicated to their supporters the organization was alive and well, and growing. To create a new, modern look, Guidelines needed a website that was clean and flat, with a lot of white space. Full-width banner photos give the site the feel of how large and grand their work is. Incorporated into the site are blogs, news updates, and commentaries which Guidelines publishes on a regular basis. Wide images and clean design help communicate the message. A new online bookstore helps to more efficiently organize & sell their products. And a single, simplified donation form easily directs visitors to give. The front page is laid out to briefly highlight the organization's work and emphasize key action steps. The site is also built on WordPress, which allows the staff at Guidelines to manage content on their own site, across multiple countries. They also received a complimentary in-person training session to familiarize them with the system. 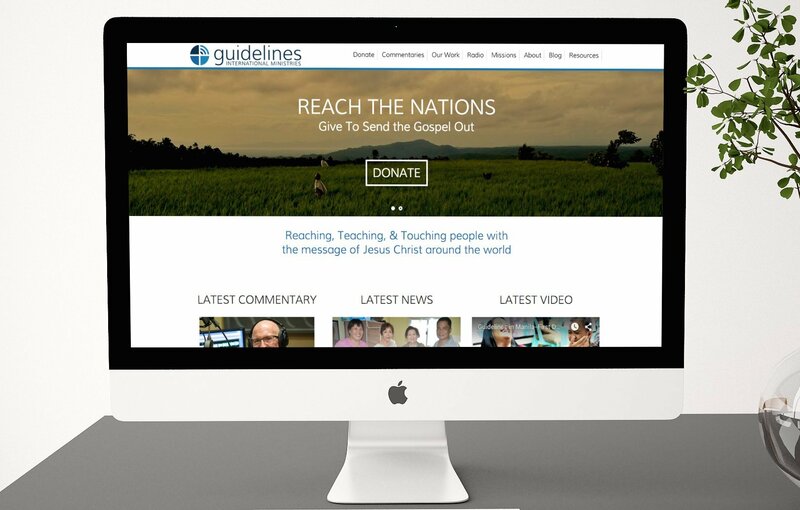 Guidelines ended up with a site that is vibrant and modern, sharing their vital work and making it easier to engage with their supporters. 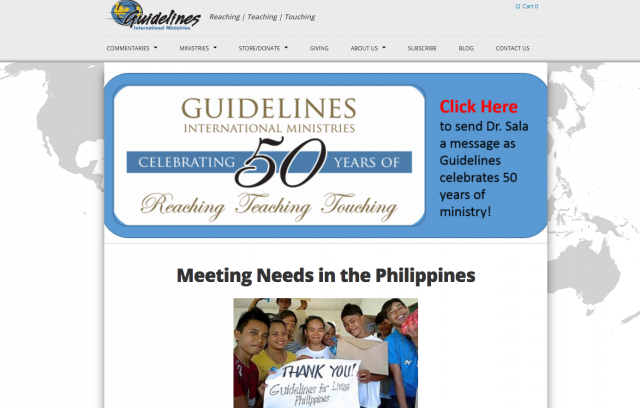 The site that Steven developed for us has breathed new life into our 52 year old ministry! It’s everything we wanted and more—visually beautiful and technically flawless. Steven was responsive, gracious and provided us with excellent guidance. We highly recommend working with SparkFlow! Donors want to feel like they're supporting an organization that is active and vibrant. A website design is critical to communicating the important work that you do. Learn how a new website design can breath new life into your organization.